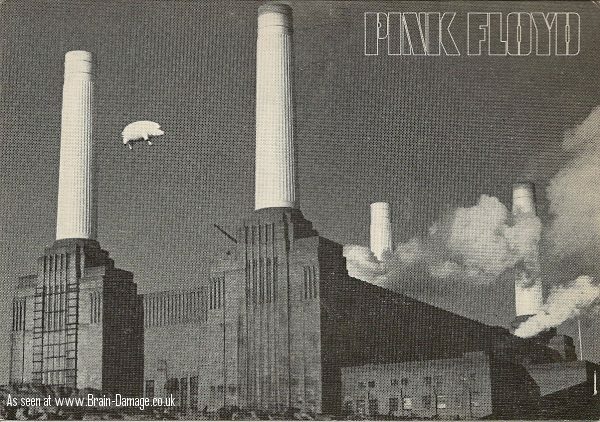 Brain Damage regular Dave Hughes recently got hold of an unusual bit of Pink Floyd memorabilia, and very kindly wished to share it with other fans. It is a scan of both sides of the original postcard invite to the Animals full album press preview held on January 19th, 1977. 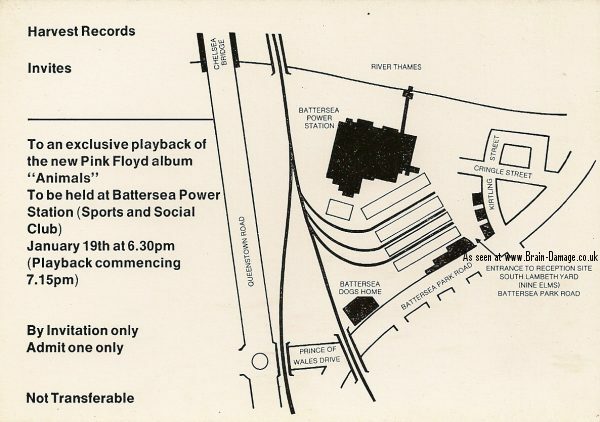 The event itself (an evening reception to a select few invitees) was staged at the Sports and Social Club of London's Battersea Power Station - as featured on the cover of the album. The person that Dave got this rare surviving invite from, had received it from an EMI source back in 1980. To view the invite in more detail, click the thumbnails. Our thanks to Dave, and if you have anything of interest that you'd like to share with the BD readership as well, please get in touch with us.